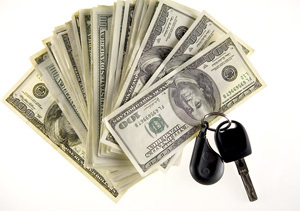 Get cash for your car in Nebraska today! Sell your vehicle today and get immediate payment when we pick up your car. We purchase cars in every city in Nebraska, sell your car in Nebraska now. Easy – Only takes 3 easy steps to get cash for cars in Nebraska. Price – Due to our extensive network of buyers/auctions throughout the United States, National Cash 4 Cars is able to offer you the highest price for your car in Nebraska. Free Pick-up – Our drivers are able to come to all cities in Nebraska to pick up your vehicle, and give you your money on the spot. Convenient – We serve every single city and market in Nebraska. Cash for Cars in Nebraska today! Courteous – National Cash 4 Cars works with its customers in Nebraska to ensure the smoothest selling experience, and strongly values the lifetime partnership with our Nebraska customers. Stress Free – National Cash 4 Cars buys any make or model, running or not. We buy used vehicles in all types of conditions. Get top dollar in Nebraska today! Expertise – Over 50 years of automotive experience, we are standing by to purchase your car in Nebraska today! The concept of being able to sell a used or junk vehicle and make money off of it may sound too good to be true. However, cash for cars companies are easy to find in Nebraska; such companies not only buy used vehicles but will also tow them from the seller's property free of charge. Furthermore, cash for cars Nebraska companies guarantee that they will purchase any vehicle that one offers for sale, no matter what condition the vehicle body, motor and/or interior are in. Cash for companies buy used vehicles in poor condition and either fix them up and resell them or sell them off to a junkyard. Either way, the cash for cars company will make money off of any vehicle it purchases. How does a Cash for Cars company work? One can either phone a cash for cars company or use the company website to offer a car for sale. One will need to let the company know the year, make and model of the vehicle in question, as well as how much mileage it has, the condition of the body, engine and transmission and whether the car has recently been in a car crash or not. Furthermore, if one does not have a title for the vehicle, then he or she would need to inform the cash for cars company of this problem. Negative information will not deter the company from buying the vehicle but it will lower the selling price for the vehicle in question. Once a vehicle owner has given the company the required information, the company will contact the owner the very same day and offer a price quote. If the seller accepts the price offer, then the company will send a tow truck to pick up the vehicle and deliver the payment. The seller does not need to pay to have the vehicle towed from his or her property. A person who wants to make the most money possible from his or her vehicle for sale should contact more than one cash for cars company and see which company offers the best price. Generally speaking, companies that operate on a national level offer better prices than small enterprises that only operate in Nebraska and not in other states. One particular company that is known for offering a good price for any vehicle that it buys is National Cash 4 Cars. Selling a car can be challenging, especially if the car has a lot of mileage, is in poor condition or needs a lot of repair before it can be offered for sale. However, those who want to sell their vehicle quickly and easily can turn to a cash for cars company for help. Cash for Cars Nebraska companies will buy a vehicle no matter what condition it is in and even tow it off the property free of charge. All a seller has to do is provide the necessary information regarding the vehicle and see which cash for cars company offers the best price.